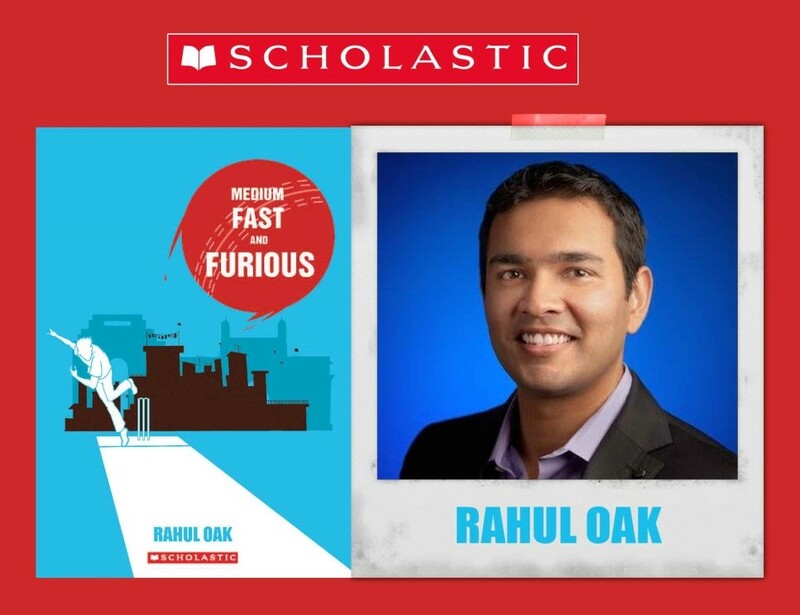 New Delhi & Mumbai India – 12th June, 2017 Scholastic India, a division of Scholastic, the global children’s publishing, education and Media Company, is pleased to announce the publication of Medium Fast and Furious by Rahul Oak available in stores and online on 15th June. Set in Bandra, Bombay, in the ‘90s, the story follows an adolescent, Raju who is aspiring to win the inter–school cricket tournament trophy. But mild-mannered and clumsy, Raju drops catches, is a mediocre bowler and has a wrong-footed action. To top it all, his parents would much rather he focused on becoming an engineer like his father. Will Raju’s dream of winning the KL Rao cricket tournament cup for his school team ever come true? Debut author Rahul Oak works as a Product Manager at Google during the day, and spends the rest of the time watching and playing cricket. Inspired by Rahul’s passion for the game, Medium Fast and Furious is a coming-of-age story of cricket, puppy love, friendship, nepotism, power struggles, class differences and much more. Scholastic Corporation (NASDAQ: SCHL) is the world's largest publisher and distributor of children's books, a leading provider of print and digital instructional materials for pre-K to grade 12, and a producer of educational and entertaining children's media. The Company creates quality books and ebooks, print and technology-based learning programs, classroom magazines and other products that, in combination, offer schools customized solutions to support children's learning both at school and at home. The Company also makes quality, affordable books available to all children through school-based book clubs and book fairs. With a 96 year history of service to schools and families, Scholastic continues to carry out its commitment to "Open a World of Possible" for all children. Learn more at www.scholastic.com.